A Vessel Safety Check (VSC) is a United States Coast Guard vessel examination performed on a recreational boat by a certified recreational boat vessel examiner from either the US Coast Guard Auxiliary or the United States Power Squadrons (USPS). A vessel examiner is trained to not only verify that you have the required safety equipment, but to also ensure that you know how to use the equipment properly, and to make further recommendations that enhance the safe operation of each type of recreational boat. The Coast Guard has as many or more recommendations for safe operation than it has for required equipment, so the VSC is not just a simple checklist, but a process that is tailored to the individual operator’s experience and type of use as well. This column will explain why just having all the required equipment is not enough. I performed a VSC on a motor yacht owned by a couple with a great deal of experience. The owner told me he had over 400 hours of far offshore operation in 2018, with trips to the Bahamas, Key West, and other destinations in the Gulf of Mexico and Caribbean Sea. Their sailing friends had recommended to them that they undergo a Coast Guard Auxiliary VSC (the USPS vessel examiners use the same form and have the same training), so they went online and requested a VSC. As stated above, both the US Coast Guard Auxiliary and the United States Power Squadrons have certified vessel examiners who will perform a free VSC (yes FREE!) at your boat, at a time of mutual convenience. There is no charge, and no consequences if you do not pass. Our goal is to simply help make boating as safe as possible for you, your family and friends, through education. We only do VSCs on personal pleasure craft. Inspection of commercial vessels is under another program. The link to request a VSC from either the USCG Auxiliary or the USPS is the same. When you fill out the online form, which asks your name, contact information, and location of the boat, the system automatically sends an email to the nearest 5 vessel examiners within 30 miles, whether they are Auxiliary or Power Squadrons examiners or a mix, which is usually the case, giving the examiners the contact information and boat location. The email also goes out to department heads, such as me. After receiving the email, a vessel examiner will decide to pick up the VSC, and will do so by responding to the boater via email. The vessel examiner will also copy everyone else in the email so that they know the request has been picked up. We all look forward to these requests, so sometimes there is competition in being the first to answer the request. 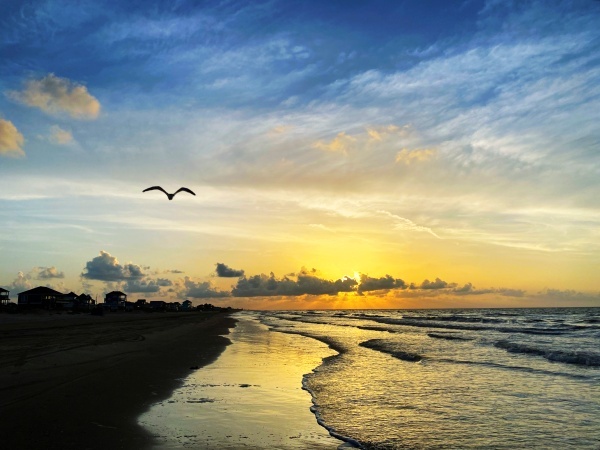 Last week I picked up a request from a boat owner who has their boat in a slip on Galveston Island. This is their story. When I got the email “Request for a VSC,” I noticed the boat was located fairly close to me, so I answered the email and notified the boat owner that I would be happy to examine her boat, copying the other vessel examiners. I then sent a follow-up email asking a few pertinent questions about the boat’s length, type of propulsion (sail, gas, diesel, inboard or outboard engine). The reason I do this is so I can send the boat owner a copy of the requirements that is tailored to their boat. 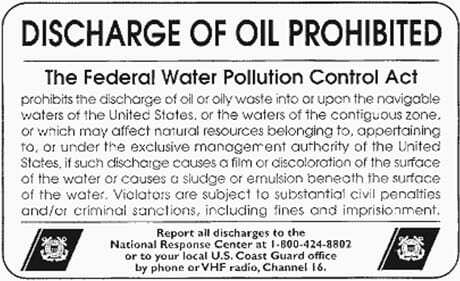 Boats 26 feet and over with a machinery compartment (such as the engine compartment or generator compartment) must display an oily waste pollution placard. The boat owner was able to go to a local marine dealer and obtain this placard as well as the MARPOL placard below prior to the vessel exam. 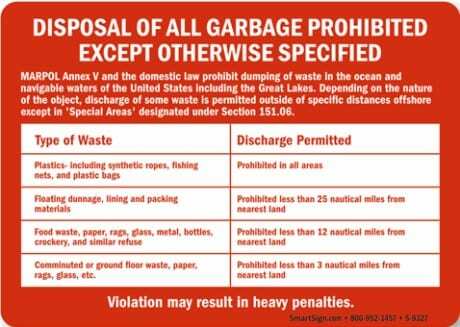 As with the pollution placard, boats 26 feet and over in length, operating in US navigable waters, must display a MARPOL trash placard. Ocean-going boats 40 feet and over must also have a written trash disposal plan available on board. Other than the TCEQ decal, the pollution placard and the trash placard, the boat owners were pretty confident that they had all of the required safety equipment. In fact, they not only had all of the required equipment, their boat was clean as a whistle and they also had most of the Coast Guard recommended extra equipment. But sometimes that is not enough, as we will see below. Not only do vessel examiners ensure that the required safety equipment is aboard, we also inspect the equipment, and this is where problems arose. The boat was not only equipped with an automatic fire suppression system, it was also equipped with many more fire extinguishers placed strategically throughout the boat. Even though they had several fire extinguishers, I inspected each one for a gauge in the green, indicating it was charged, and I also checked the expiration dates. All were good, but several of the fire extinguishers were manufactured by Kidde and had plastic handles. Many of the Kidde fire extinguishers with plastic handles are part of a voluntary recall due to the possibility of failure due to UV radiation deterioration of the plastic handles. After the vessel exam I sent the owners the recall information, which includes free replacement by Kidde if so desired. Although not generally a requirement on recreational vessels, it goes without saying that you should have a marine VHF/FM radio aboard so that you can contact the Coast Guard in case of an emergency. Cell phones are unreliable on the water. The boat owners had both a handheld radio for their emergency go kit, and they had one of the most modern radios with Digital Selective Calling and an emergency Distress button. I highly recommend this type of radio, but it is important to know that the radio does not work as intended until the owner obtains and programs a Maritime Mobile Service Identity number into the radio. The MMSI is analogous to a telephone number. When the Distress button on a properly programmed marine radio is pushed, the radio sends out a digital emergency signal to the Coast Guard. Once the Coast Guard watch stander acknowledges the signal on his Rescue 21 computer, the radio automatically switches to the marine emergency calling channel, channel 16. If the radio is not properly programmed, the Distress button does not work at all. The boat owners were unaware of the programming requirement. 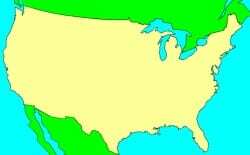 They thought they were covered, and had traveled thousands of miles along the Gulf of Mexico coast secure in their minds that they had a properly working Distress system. They were somewhat flabbergasted that they had been relying on this radio for emergency communication, and were thankful to learn what they had to do to make the Distress button function. For those of you who have a marine radio with a Distress button, if you have not obtained an MMSI number and programmed your radio, here is the link with the information you need: www.boatus.com/mmsi. Recreational boats 16 feet and over used on coastal waters are required to carry a minimum of either (1) three day and three night pyrotechnic devices, (2) one day non-pyrotechnic device (flag) and one night non-pyrotechnic device (automatic SOS light), or (3) a combination of (1) and (2). The two most popular combinations are pistol fired rockets and handheld flares, which come in packages of 4. They are good for 42 months from date of manufacture, and meet both the day and night requirements. The boat owners had a pack of 4 handheld flares, and technically met the legal requirements. But I knew that the boat owners often traveled 100 miles off shore. As I told them, although they met the legal requirements, their best interest was to enhance their visual distress capabilities by adding orange dye marker cans and SOLAS (Safety of Life At Sea) rockets to their inventory. They would increase their visibility from other boats and from Coast Guard rescue helicopters from about 5 miles to about 25 miles. They agreed that this was a prudent thing to do. After the visual distress signal inspection, I turned my attention to their personal flotation devices. Acceptable PFDs (also known as life jackets) must be US Coast Guard approved and in good, serviceable condition. A wearable PFD of suitable size is required for each person on the boat. Children must have properly fitted PFDs designed for children. Wearable PFDs shall be readily accessible (not stored in unopened plastic packaging. For personal watercraft riders, the PFD must be worn. Also, when underway, children under 13 must wear their PFDs. The boat owners showed me their PFD locker. When they opened it, I was quite pleased to see that it was full of Type 1 offshore jackets. The offshore jackets have the highest amount of buoyancy, and are designed to hold an unconscious person’s head erect and above water. The boat owners then showed me the PFDs they routinely wore when underway. They had type 5 self inflating PFDs. I have recommended those several times in past columns for use near shore. I told the boat owners that I liked those type of PFDs, but if they had time in a case where they had to abandon ship, they should don the offshore style PFDs for a higher level of safety. I then began to inspect each PFD to seen that it really was Coast Guard approved and in good shape. I inspected the type 1 PFDs first. They all were in great shape. When I got to the self-inflating PFDs, I noticed that each service indicator was in the red. On closer examination, I found that none of the inflatable PFDs had their CO2 cartridge installed. The boat owners had been routinely wearing these PFDs while underway with a false sense of security. When I pointed out that there were no CO2 cartridges in any of the self-inflatable PFDs, they were horrified. I have performed Vessel Safety Checks on many boats, and the majority of the boats passed their inspections based on required equipment. However, in determining the areas in which the boat was to be operated, I almost always have had a recommendation for making their trip on the water safer. Even the most experienced boater can overlook a problem with their safety equipment. Most of the time the problem is due to the equipment being expired or not in good working order. I recommend that you obtain a VSC for your boat just in case something is amiss with your equipment. A VSC could save your life.